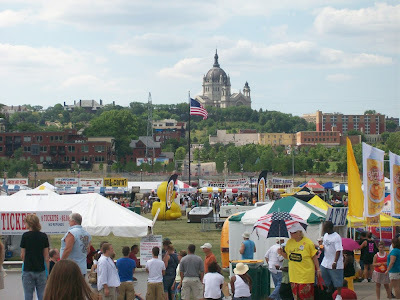 So on July 4th we loaded up the ol' Taurus and headed down to St. Paul for the 26th annual Taste of Minnesota festival. The last time we were there was in 2005, and then one other time several years before that. 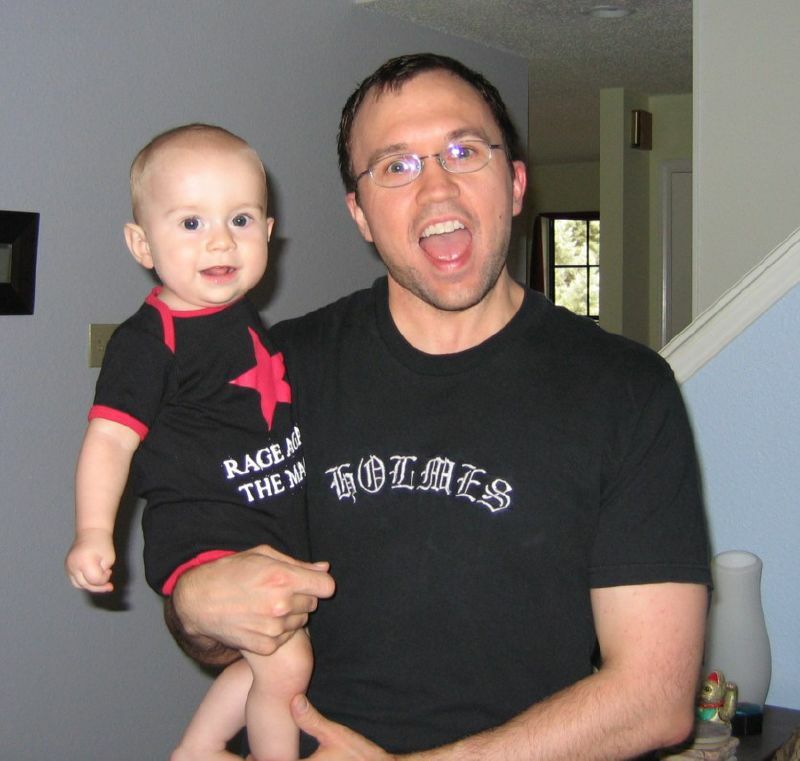 The reason we came back again this year was because we had a good time in 2005. There was a wide variety of foods to sample, the booths gave away tons of free stuff, Marty Balin was in excellent voice and the fireworks were phenomenal. But this year was all different. The prices went up on everything, Brawny was giving away paper towel samples, and the whole atmosphere was flat. It was in fact so lame, that we didn't even stay to watch the Bay City Rollers or the awesome fireworks to follow. That's pretty lame. My annoyed family. Wait a minute... what is that guy in the white shirt carrying? I don't remember anyone selling turds on a stick. 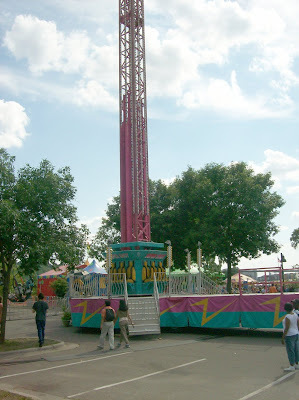 This dumb little tower-drop ride cost $5, and lasted for the whole 1 second it took to drop. Hmm, wonder why there's nobody on it? Rosie and I don't really work for Sun Country. This is just a wooden sign with holes cut out for our heads. Really. I believe you are right...that is a turd! I hate to say it, but I detest the Taste of Minnesota. I went once after living in Chicago long enough to have experienced the joy that is Taste of Chicago and was mightily disappointed (e.g., overflowing garbage cans EVERYwhere). I haven't been back since. HOWEVER, I am coming back for the Fair this year. 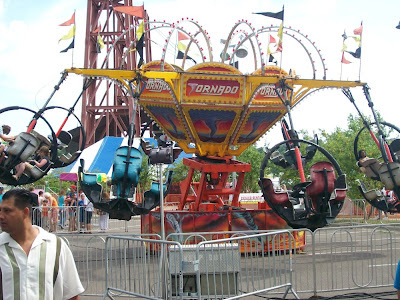 In fact, I'm insane enough to plan on driving BY MYSELF with the wee ones from Chicago to MSP with them to spend three or four days at the Fair. Please tell me it's everything I remember from my youth (including Sweet Martha's Cookie Jar)! You didn't try the frog legs? You've tried vegemite and marmite...come on! Sorry you were disappointed - I think this is way things are going because of the recession we're in, sadly. It's short-sighted to cut down on the free stuff, though, because it generates so much goodwill and that's the most effective type of advertising. We have never been, but I've often seen the images on the Twin Cities' news and have thought about going in the future. My problem is that the food is so darn overpriced. Plus, all of it can be found at the state fair NEXT month, again over priced, but it's the state fair! I mean, where else will I see a butter carving of the dairy princess? Bay City Rollers...I might of stayed for that. Does Woody look the same as he did in 1979? Sounds a bit like the 4th of July parade we went to. It was nothing but tractors, classic cars, and politicians riding in tractors and politicians riding in classic cars. It was like political speed dating. Oh yeah, I think there was a dog too. Never went to the Taste, but the State Fair is awesome. The first year we lived in Minnesota some of us girls went and we happened to be there on the afternoon that Gary Puckett was playing. Major crush, it was like I was fifteen again, and I got him to sign my shirt. 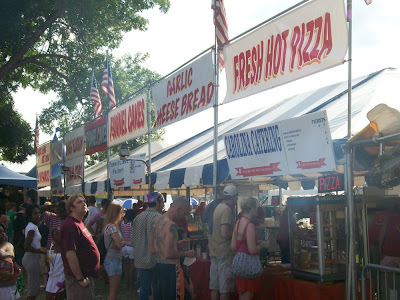 Plus, there is the fried everything on a stick, the butter sculptures, the huge hog, and the ice cold milk. Not to mention the miles of exhibits. It's ruined all other state fairs for me. And yet, you look like you're having more fun than I've ever had at those types of things. I've given up on them. Still, I love taking the girls to D-land. Go figure. mushy - It's kind of symbolic for all the food there... crap on a stick. michelle - I think you'll like it. The State Fair here has maintained its integrity very well over the years. heather - Yeah go figure. Somehow amphibian parts don't appeal to me. jay - I agree. Although I must say I enjoyed the Starbucks cool mint chocolate sample they were passing out. sandy - The food was outrageous. A single corn dog was $5 worth of coupons. I don't think so. student teacher - It would have been fun to find out, but we decided to head back up to St. Cloud to catch our fireworks here, so we left before they played. marie - That's funny. And yet I'm guessing you still didn't fall in love with any of the candidates either. mom thumb - Yes... the ice cold milk! For some dumb reason I always look forward to that big ol glass of free milk! april - How can you not? Disney is classic. Especially when you live down the street eh? Turd on a stick --- sounds yummy!! We have the Taste of Chicago here, and I would have to get a second mortgage on the house to afford taking my family, so we don't go. Plus the fact that there is literally a million people there and well, I get allergic to crowds of that size. But it's mostly the money. Years ago my brother in law asked one of his teachers to steer him to a good Mexican resturant. We have never been disappointed at the Boco Chita (sp) in the hispanic district of Saint Paul. I hope they are still around, and run by the same family. You must have been close by during your outing. I expected a report about the frog on a stick. So disappointed. Did they have those deep fat fried Snicker bars I've heard of? are you sure that is just a wood cut out? cause it looks so believable? are you SUREEEEEE????? Every few years I like to pack up the kids and go get some e. coli-on-a-stick at some food booth fair. I didn't even have to leave the house this year... The stomach bug came right to me! I think it's good to just get out every few years and be sociable with a couple thousand of your closest friends. It's fun to see the different levels of society all in one place. By the way, had you mentioned before about having a hot wife? mylhibug - It was really ridiculous. Just a tiny sample of something was 7 or 8 tickets, which was $5. I didn't price the turd on a stick though, so I don't know how much that was. groovy mom - I would have actually bought fried smelt... yum! But unfortunately it's a little late in the season. bill - I don't know St. Paul all that well so I really couldn't tell you if we were close or not. But I do remember that being a very good restaurant. alice - How frog legs ever became a food for humans I'll never know. Maybe I'll ask VE to research that on his blog next. elizabeth - I didn't see those, but they for sure have them at the State Fair, which I'll be reporting on around Labor Day. So check back then. doozie - I know... it's really convincing isn't it? 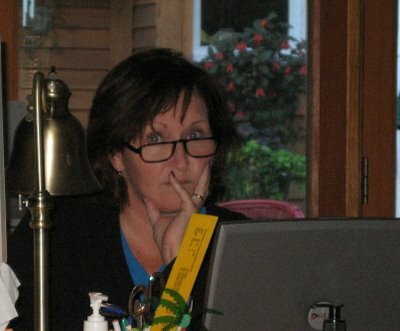 Your skeptism makes me feel normal and that all is right with the world! BTW, I'm embarrassed to admit I laughed out loud at the 'turds on a stick' photo comment. Maybe I am really an 11 yr old boy? The Bay City Rollers are still around and in your neck of the woods even? chick - I'm thrilled you laughed at the turd on a stick. I would hate to work so hard on that kind of bathroom humor for nothing! windyridge - Yeah, and it wasn't even S.A.T.U.R.D.A.Y. night! Look at those cute dimples you have! But wait, did you say Bay City Rollers? "Brawny was giving away paper towel samples." Snortle. This sums it up perfectly. Still, it looks like you and your adorable family had a great time. 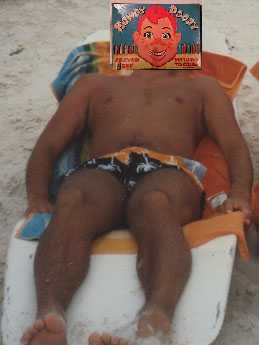 I had to enlarge the photo of the guy with the Turd on a Stick. It IS Turd on a Stick! I hope he picked up a bunch of free Brawny paper towels! Have you ever been to the Royal Gorge in Colorado. We have renamed it the Royal Gouge. We've also been to PoorLando in Florida. Fun isn't cheap anymore, not the store bought kind. Every year I ask my husband if we can go and every year he says no. Lobster and frog legs...those really represent that taste of Minnesota??? 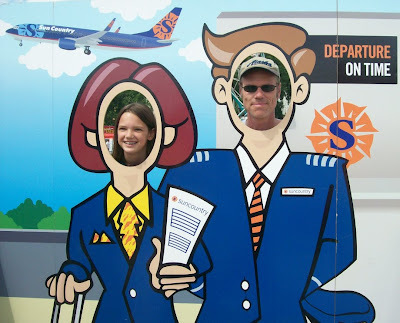 I cracked up at the airline employee cutouts for photos. Who in their right mind would want to be associated with the airline industry these days? I'm surprised they didn't charge you to stick your head in there. Did you have to take your shoes off to use it? drowsey - I did indeed. REO Speedwagon played the night before. I probably would have stayed for them for sure. jd - That turd might look disgusting, but I heard they are deep fried and rolled in sugar. carla - All fun things come with a price. Unfortunately, this was expensive and not all that fun. mrs r. - He must have personal experience of it you weren't aware of. ve - You probably didn't notice my comment earlier to Alice. What I told her was "How frog legs ever became a food for humans I'll never know. Maybe I'll ask VE to research that on his blog next." Let me know when you've got that figured out. I uses to love T.o.M. Bummer. I would've gone for REO Speedwagon, but BCR not so much. I really miss Riverfest. My mom and I went to see Sting. For free. It rocked. We go to state fair every year if I have anything to say about it. The past couple years one of the kids has won a county fair talent contest and earned a slot at state. If not, I work at the Education MN booth and get free tix. It's all good. omg Charlie is a hottie! I will say that in Texas this time of year the phrases "fun" and "sun" do not go hand-in-hand. Although I can't complain too much; it's been relatively mild this year, mostly only in the low 90s. And I'm glad you got to enjoy this time. Frog legs---is that some euphemism for french fries? Please say so. I'm a big fan of outdoor festivals. You gotta be prepared for the high prices. I mean come on Jeff, when will you ever again be given the chance to pay $8 for lobster on a stick AND listen to the Bay City Rollers while you eat? gette - If there were records to prove it, you'd see that my band Livingston Fury actually opened for Loverboy at Riverfest in '86. On second thought, I might even have pictures of that day. Hey thanks for the idea! jennine - Don't I know it! 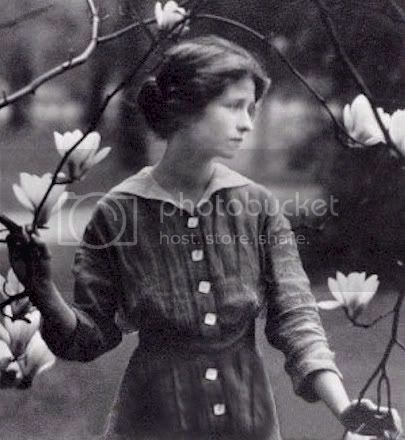 julie - I've played your fair state in the winter many times, and I have to say it was very nice. I've also played there in the summer, and I have to say it was insanely hot. damon - I suppose if you look at it like the band cost $8 and the lobster on a stick is free, then you're right... it IS a good deal! 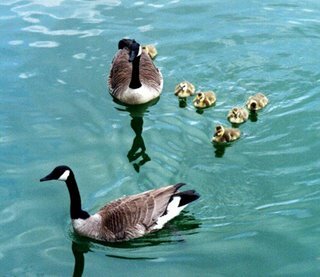 Your family is so cute when they're annoyed. I hate the ticket system at fairs and festivals. Makes you think you're spending Monopoly money. If you had to fork over actual cash for some food items, you'd never do it. Mmmm, lobster on a stick. Is that as good as it sounds? We don't see signs like that much around these parts. What? No lutefisk on a stick? And why is that guy in the blue shirt praying? lil' g - My family must be cute a lot then! kathy - My 3rd grade math skilz are enough to tell me these tickets are NOT a good deal. I don't have much faith on it getting better anytime soon. It seems like it's on a perpetual downhill slide. holmes - Yes, I've heard the microscopic scrap you get for $8 IS delicious. rick - Lutefisk would make sense for the taste of Minnesota, but I'm thinking it would need to be in a cup. Either that or very old and dry. I think that guy is praying he'll find the booth that sells the turds. Where are you? Nobody's heard from you since Sunday. I'm worried. I hope the turd-on-a-stick didn't land you in the hospital or anything. 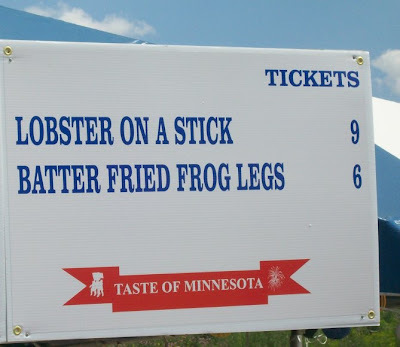 Ok, I TOTALLY got stuck on "lobster on a stick" and "batter fried frog legs". Wow. That is some very creative food there. Ha! We have The Taste of Manitoba, but it's not a fair. It's just restaraunts selling samples of their menus (even with wine samples). No vomit rides... which really should NOT be at a food fair, no? Love the last pic though! Wow they really think you have big heads. -(my favorite) "POP" is what the weasle does! I decided to teach you a lesson about taking too long to check on your contest and I withheld the book from you. Either that or I misplaced it and only just found it the other day. Oh yeah, it was the 2nd thing ;-) Anyway, I mailed it on Thursday so you should get it any day now.